Strike Three: Bullying You Are Out! | Arianna Merritt, M.Ed. I have always been an athlete. My passion for sports, the sport environment, competition, and the empowering feeling I get after a long workout are what keep me involved. I strongly believe that participating in sports teaches skills and lessons that you cannot learn in a classroom. The sport environments which I have been a part of foster passionate and driven people who treat others with respect.I thought sports were supposed to be fun – so what’s with the stories about the “chilly climate”? When I think of chilly climates, I think of the frigid temperatures in Ottawa, Ontario (the coldest capital in the world) where I grew up. Winter lasted almost six months. The snow, ice, and freezing-cold temperatures could make anyone want to hibernate until spring. However, despite the chilly climate, we would all embrace the climate by going outside and having fun. 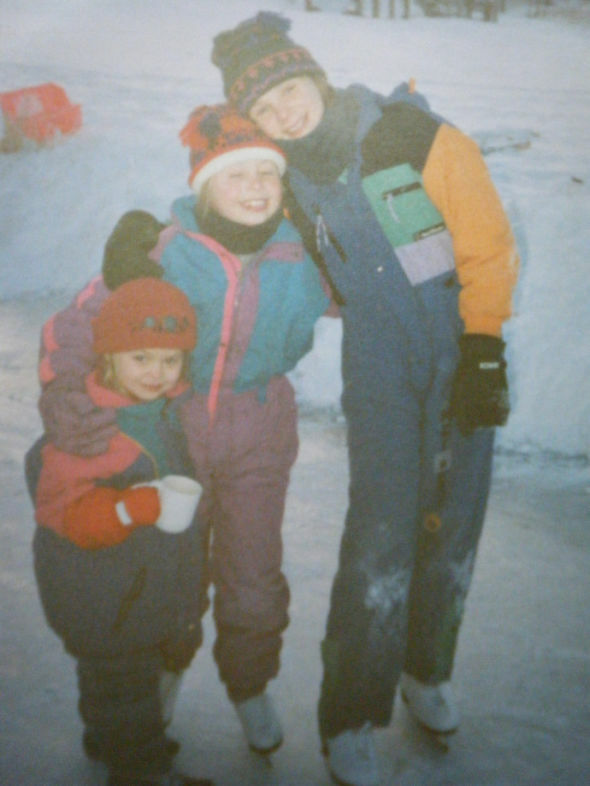 There were plenty of ways to be active outside during these months: skating, skiing, tobaganning, building snow forts, etc. My sisters and I spending some quality time together. There is another type of cold climate which exists in many social environments and it has nothing to do with temperature. It has to do with people’s behaviours. I heard of a situation the other day which made me disappointed. Such incidents can occur far too often in sport. Imagine for a second, you hear about this sport and you decide to join it at a college or university as a Novice. 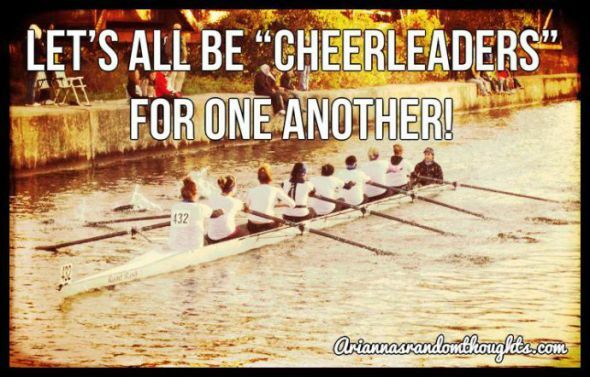 You get so excited about it and bond well with the other athletes on your Novice team. However, there is a huge power dynamic that exists which you begin to notice in the team: one where the Varsity athletes and head coach do not talk with the Novices, nor do they treat them like they exist or that their efforts or opinions matter. The coach and Varsity athletes don’t care about fostering the development of the current Novice members, as the next year they can get a whole new crop of recruits. Due to the uneven power dynamic which favoured the Varsity members, most of the Novice athletes didn’t return for a second season. The funny thing is,these Varsity athletes were once Novices (i.e.,new to the sport) themselves. Now, I know in life that power dynamics exist in every relationship, but this isn’t an excuse to treat people poorly. In the situation above, the “Novices” are being excluded and isolated from the main group by the Varsity athletes and the head coach. A negative social climate is created overall, even though the Varsity athletes are happy with their group and the Novices are happy with theirs. However, the Varsity and Novice groups are not two separate teams; they are part of ONE team! The school develops an environment of fear and disrespect. Bullying can take similar forms in sport, in terms of the athletes, the coaches, the volunteers, and the organizations which run them. The athletes in the above scenario exhibited these characteristics of bullying. This team was lacking in sportsmanship, i.e., that special quality that makes an athlete. Yes, as an athlete you can have superior athletic ability; but how you interact with your teammates and peers is also important. I remember watching a high school basketball game where a really skillful player did not pass to her teammates. She stood out because she had amazing talent and wanted the victory all for herself; but to the spectators, it was clear that she wasn’t a true sport because she was separating herself from her team. I agree with this definition of sportsmanship, but I think that it should not just be the opponents who are treated with respect. Rather, athletes should also treat their teammates, their coaches, the spectators, and everyone with whom they interact in sport with utmost respect. In the scene I described earlier, this team was lacking in sportsmanship as the Novice athletes weren’t being respected. I have heard of or been a bystander to such a situation TOO many times. I can’t stay quiet anymore. Negative behaviour in sport and in life needs to be prevented. Let’s bring some sun and positive energy to these chilly climates! A post about examples of bullying in sport and possible ways to deal with it.